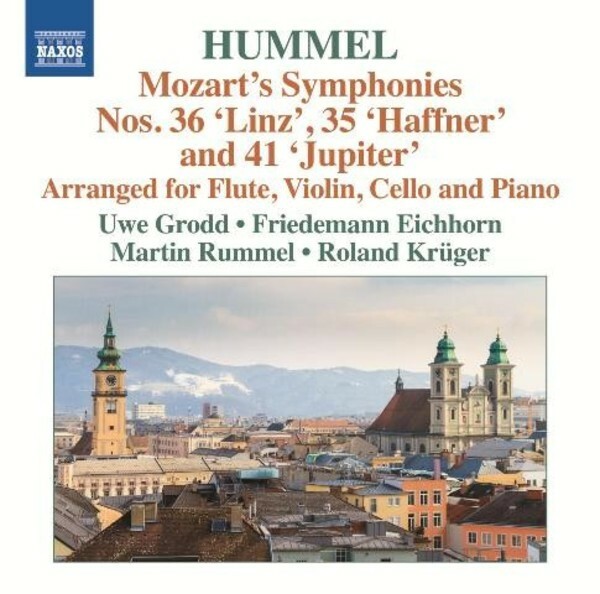 Hummel, conductor, composer and pianist, whose death ended the great Viennese lineage of Haydn, Mozart and Beethoven, produced a series of inspired arrangements of Mozart’s symphonies between 1823 and 1824. As a child of eight he had lodged and studied with Mozart, and these arrangements demonstrate a profound understanding of his teacher’s art. He refused to vary a single harmony but did make some changes to accommodate contemporary early Romantic taste, and to bring out intensity of orchestral colour as well as offering opportunities for pianistic virtuosity.